^ v: "AEACIDS Descendants of Aeacus, son of Zeus and the nymph Aegina, eponymous (see the term) to the island of that name. 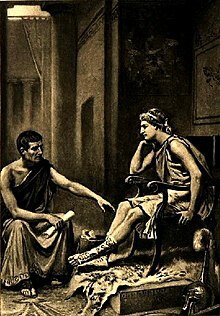 His son was Peleus, father of Achilles, whose descendants (real or supposed) called themselves Aeacids: thus Pyrrhus and Alexander the Great." ↑ "The birth of Alexander the Great"। Livius। সংগ্রহের তারিখ ১৬ ডিসেম্বর ২০১১। Alexander was born the sixth of Hekatombaion. ↑ Plutarch 1919, IV, 57: ‘ἀλέξω’. ↑ Plutarch 1919, IV, 57: ‘ἀνήρ’. Trogus, Pompeius (১৮৫৩)। Justin, সম্পাদক। "Epitome of the Philippic History"। Rev. John Selby Watson, translator। Forum romanum। সংগ্রহের তারিখ ১৪ নভেম্বর ২০০৯। . 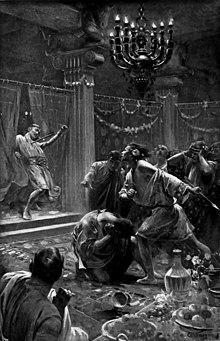 Delamarche, Félix (১৮৩৩), The Empire and Expeditions of Alexander the Great উদ্ধৃতি টেমপ্লেট ইংরেজি প্যারামিটার ব্যবহার করেছে (link) . Romm, James; Cartledge, Paul, "Two Great Historians On Alexander the Great", Forbes (conversations) উদ্ধৃতি টেমপ্লেট ইংরেজি প্যারামিটার ব্যবহার করেছে (link) Part 1, Part 2, Part 3, Part 4, Part 5, Part 6. 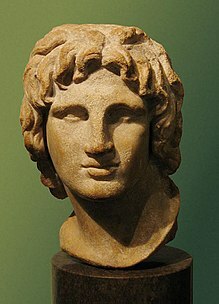 Alexander the Great: An annotated list of primary sources, Livius উদ্ধৃতি টেমপ্লেট ইংরেজি প্যারামিটার ব্যবহার করেছে (link) . The Elusive Tomb of Alexander the Great, Archæology উদ্ধৃতি টেমপ্লেট ইংরেজি প্যারামিটার ব্যবহার করেছে (link) . Alexander the Great and Sherlock Holmes, Sherlockian Sherlock উদ্ধৃতি টেমপ্লেট ইংরেজি প্যারামিটার ব্যবহার করেছে (link) .